It's been a month since the passage of the bond referendum to fund the new library, events center and parking. Now the big question is: what's next? The process of providing Winter Park residents with the library facility they need and deserve started in July of 2013. The March 2015 passage of the referendum was the culmination of two years of study, planning and recommendation. Now we have the crucial answers we needed before we could move forward. The best estimates we have are that there be will around 50,000 square feet of library space. There will be additional space for an events center. Once hired, the architect will work with the library and the city to determine exact numbers. A 21st century library sharing spaces with a state-of-the art civic events center – and parking to serve both facilities. We won’t know exactly until the architect is finished designing the three structures, but the bond amount is firmly capped at $30 million. We fully expect value engineering to take place and for the City Commission to be responsible stewards of the taxpayers’ resources. Voters authorized the sale of bonds to pay for the two facilities and parking. The Library’s Board of Trustees is already in the process of raising $2.5 million to go toward the project. So now that we have those answers, what are the next steps in the process of building a new library and event center? Engage the community, select an architect, engage the community, design the building, engage the community, issue the bonds, approve the design, prepare the site, and begin construction. Early estimates were that construction would take 12-14 months. So sometime in 2018, we hope to welcome you into Winter Park’s new library and event center. 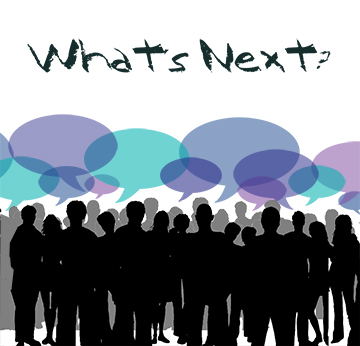 In the coming weeks, the Library Board will host three Community Conversations (June 1, 2, and 4) where we begin clarifying the community’s wants and needs for materials, programs and services in the context of all we now know about what is planned. We are excited to begin this next chapter of the planning process with our residents and community.